Experience a position at an organisation that supports work life balance and a location with a great climate that enjoys sun all year ’round. Sunraysia Community Health Services is a dynamic organisation promoting health, wellbeing and independence in a social model of health to prevent illness, disease and injury. Influencing the agenda for health policy, providing access and equity to health services for our community and encouraging innovation and flexibility to ensure services match community need is a priority. We have a unique opportunity for a Dentist to work within our motivated team at our state of the art, 8 chair practice. 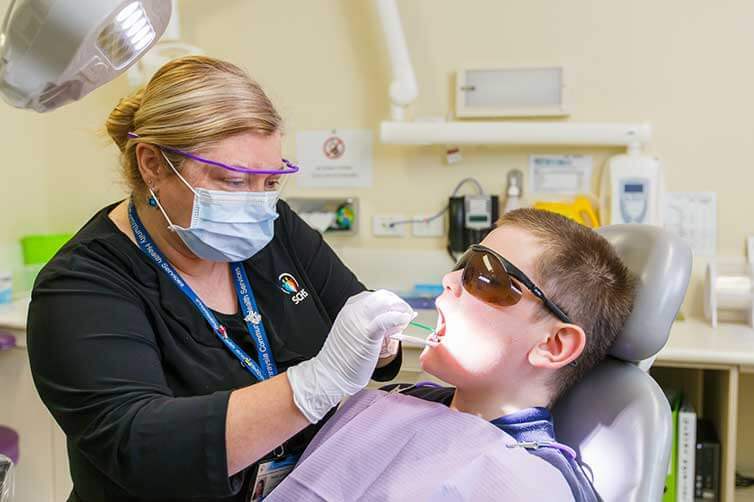 The Dentist will be responsible for the provision of a broad range of clinical duties including the provision of high quality conservative, prosthetic and emergency oral health care within the scope of the publically funded Community Dental Program. Full Chair side electronic medical records. Highly experienced chair side Dental Assistants. Applicants must possess full registration with AHPRA. Graduate Dentists welcome to apply. For a confidential discussion, please contact Shelley Faulks, Clinic Manager on 03 5025 9614. Position Description and Key Selection Criteria is available by clicking here. To apply, please forward your covering letter, CV, responses to Key Selection Criteria and contact details of three professional referees addressed to Manager Human Resources, careers@schs.com.au The vacancy will remain open until the position is filled. Please register your interest in applying by emailing careers@schs.com.au to avoid missing out.